The temporary shelter includes: administrative offices, kitchen, dining room, dormitory style sleeping rooms, restrooms, living rooms, play room, showers, and laundry. A play area for children is located outside in the yard. 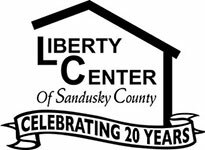 The Liberty Center operates on the contributions of local churches, private donations, corporate gifts, service groups donations, fund-raising and grants. Please consider remembering the shelter in your will or estate planning. Applications for admittance are available Monday through Friday from 9:00am to 4:00pm. Referrals to the shelter are accepted from local agencies and churches. Walk-in applicants are welcome. All applications are recorded in a confidential registry. A criminal background investigation and intake interview are completed before admission to the shelter.